Chinese model Fei Fei Sun, after Elie Saab, Paris, March 2014. Tamu McPherson of All The Pretty Birds, before Dior Couture, Paris, July 2014. Such a great look on Tamu. Love everything about her outfit especially that pleated denim skirt (even though she was freezing in it! Paris was unseasonably cold and rainy during couture this season....which is why Lee, Tamu and I went to lunch at Le Castiglione instead of shooting one day :)). Buro 24/7's Miroslava Duma, after Elie Saab Couture, Paris, July 2014. Oh I do so love a camel leather skirt.....and this mini version on Miroslava is just sublime! Camel leather skirt: Thakoon pleated slit leather skirt, Milly leather bell skirt, Michael Kors pleated plonge leather skirt, Lafayette 148 New York Suzie varnished leather skirt, Y.A.S. Frill skirt in suede, Gucci leather flared skirt (more brown than camel), or Michael Kors leather flare skirt (brown leather but has the same flared shape as Mira's skirt). Before Ulyana Sergeenko Couture, Paris, July 2014. 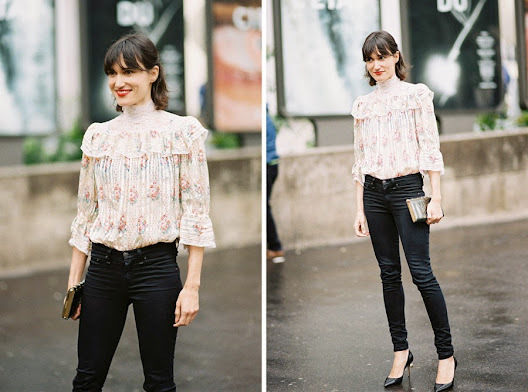 A beautiful, romantic Victorian-inspired blouse with rock 'n' roll skinny black jeans. Perfection. Hair and make-up inspiration, after Elie Saab Couture, Paris, July 2014. 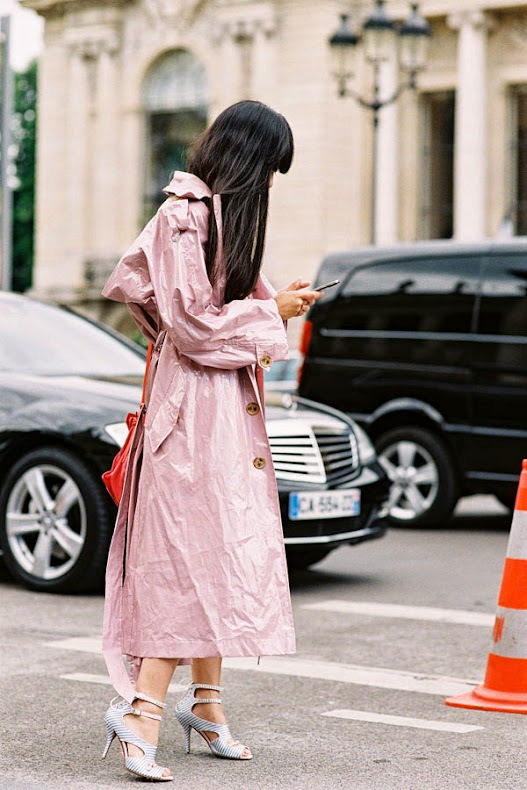 Susie Lau of Style Bubble, after Chanel Couture, Paris, July 2014. 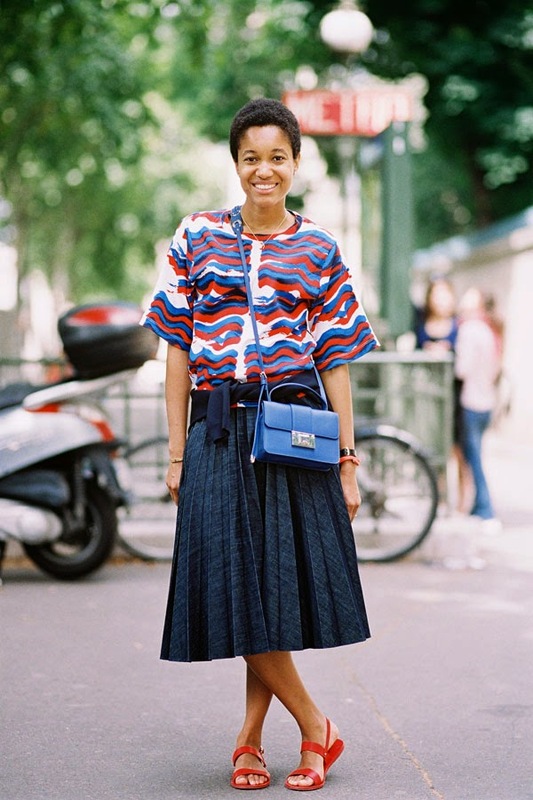 LOVE this look on Susie especially her gorgeous striped Tabitha Simmons sandals. Buro 24/7's Nasiba Adilova, before Dior Couture, Paris, July 2014. So many beautiful pregnant women at couture, including Nasiba. It was a lesson in how to dress your bump in the last few months of pregnancy (or disguise it in the first few months ;). I loved everything Nasiba wore....it helps that she was glowing (a cliche but true!). 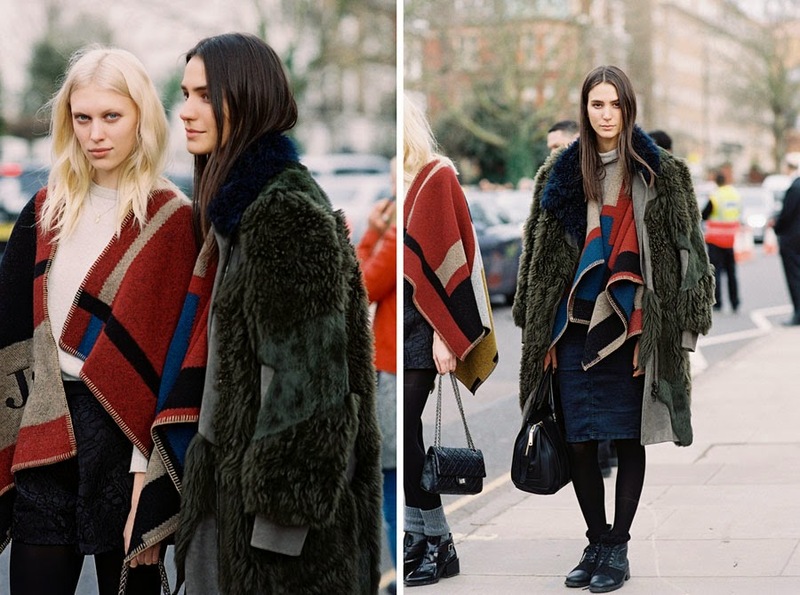 Capes and ponchos are brilliant for bumps (so easy to throw on) but so is a flattering a-line coat or shirtdress. Add bright, fun accessories to an all-white look like Nasiba has. 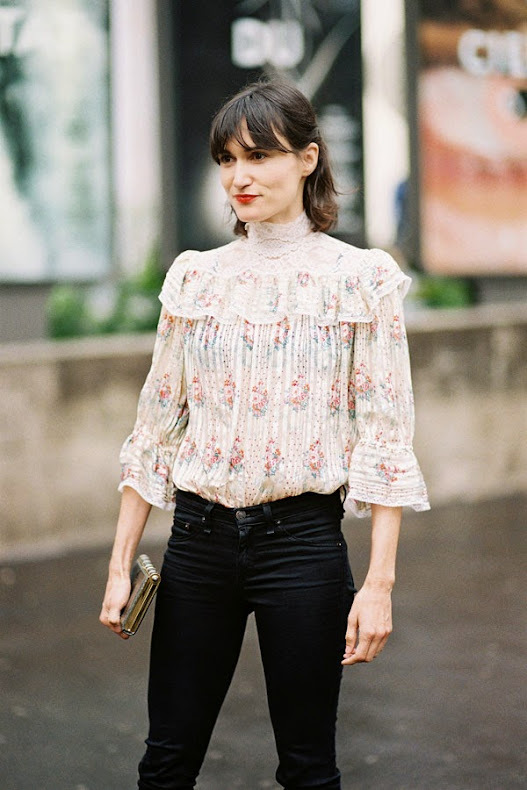 Fashion TV host and journalist, Tiany Kiriloff, before Dior Couture, Paris, July 2014. Elena Perminova, before Dior Couture, Paris, July 2014. Stylist Elisa Nalin, after Ulyana Sergeenko Couture, Paris, July 2014. The fabulous Elisa and her brilliant way of putting together different colours, patterns and fabrics. 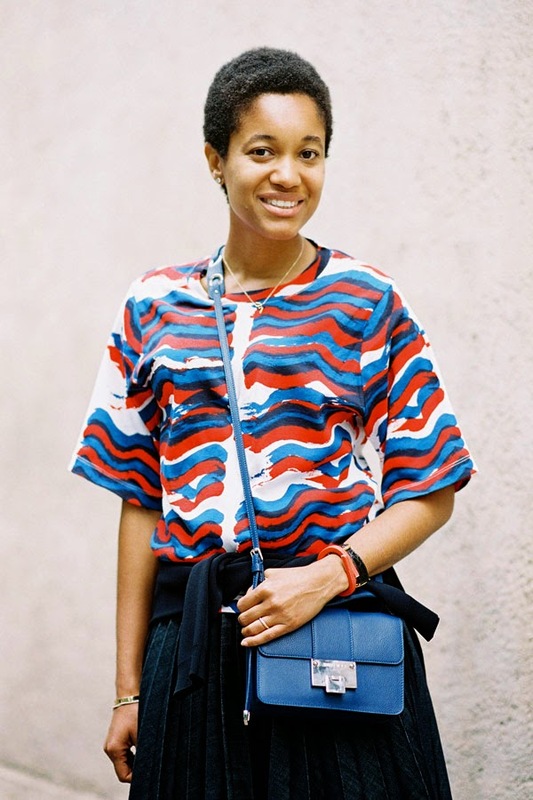 A new way to wear a classic Breton stripe tee? 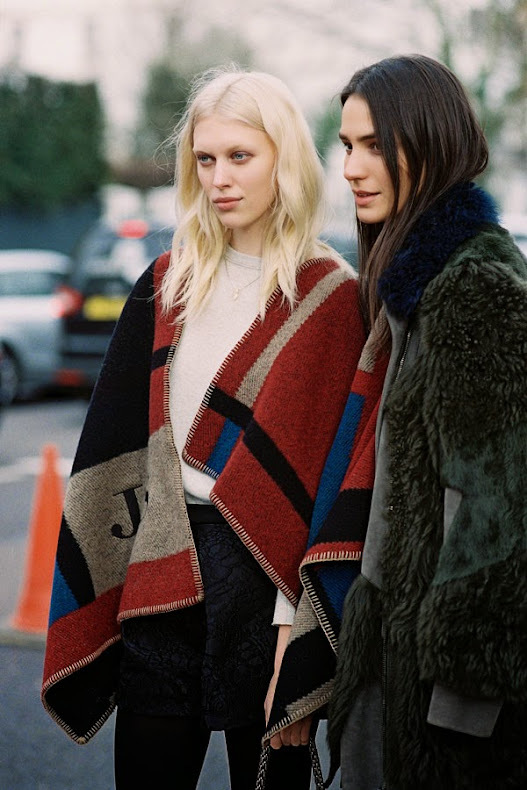 Slip it under a sheer bomber jacket and wear with a denim skirt. Stylist Nausheen Shah, after Giorgio Armani Prive, Paris, July 2014. Designer Vika Gazinskaya, before Jean Paul Gaultier, Paris, July 2014. Dress up a pair of denim shorts with a sheer shirt (wear a pretty coloured bra underneath), classic pumps and an embellished jacket. American model Juliana Schurig and Serbian model Mijo Mihaljcic, after Burberry, London, February 2014. 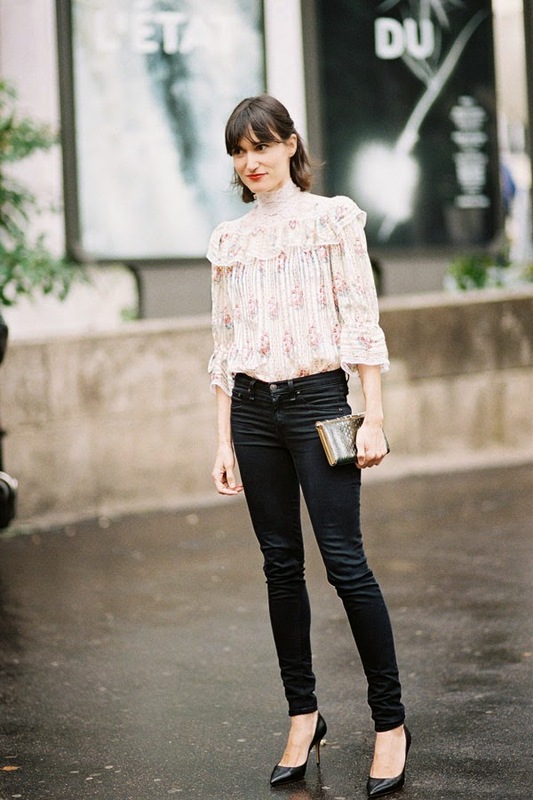 Joanna Hillman, Style Director Harper's Bazaar US, before Giambattista Valli, Paris, March 2014. After Paco Rabanne, Paris, September 2013. A fringe bag to update a sheer black shirt + jeans + boots outfit. 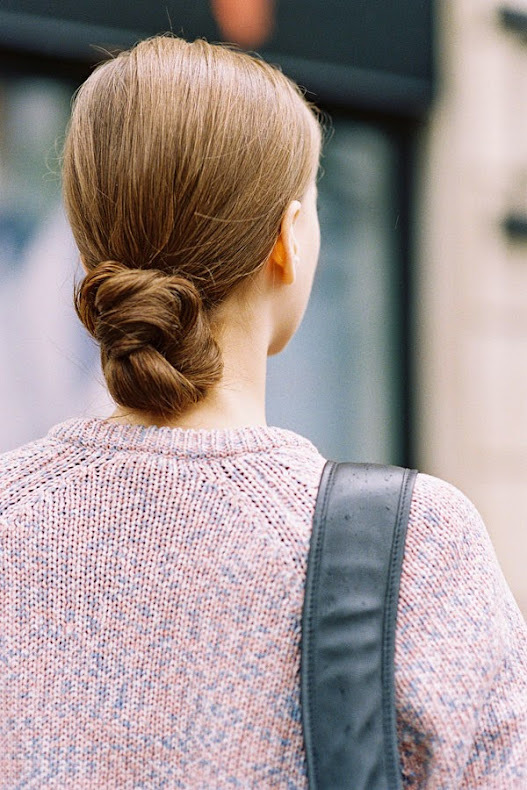 Dutch model Mirte Maas,after Derek Lam, NYC, September 2013. Dutch model Irene Hiemstra, after Dries Van Noten, Paris, September 2013. After A Show, Paris, March 2014. South Korean model Sung Hee Kim, after Manish Arora, Paris, September 2013. 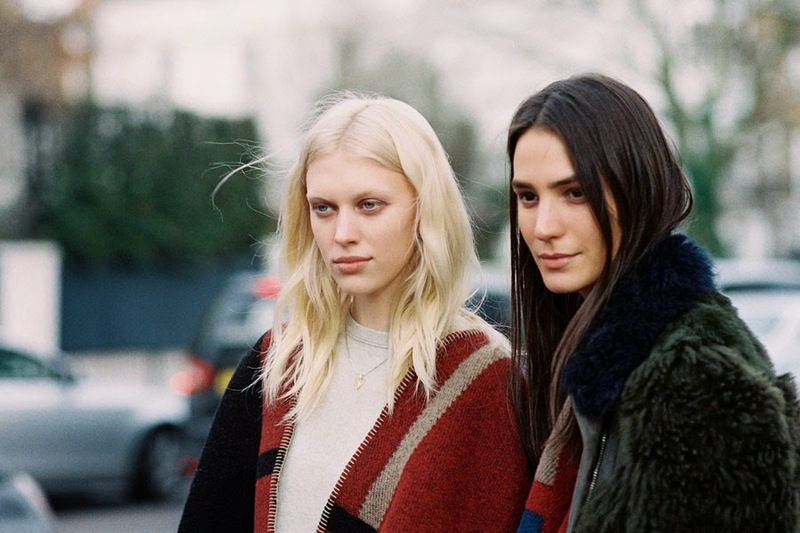 Dutch model Svea Berlie, after A Show, Paris, September 2013. Slouchy denim jacket, slouchy trousers, a single earring. Beautiful proportions....and a way to wear the summer shirtdress into the cooler months ahead.